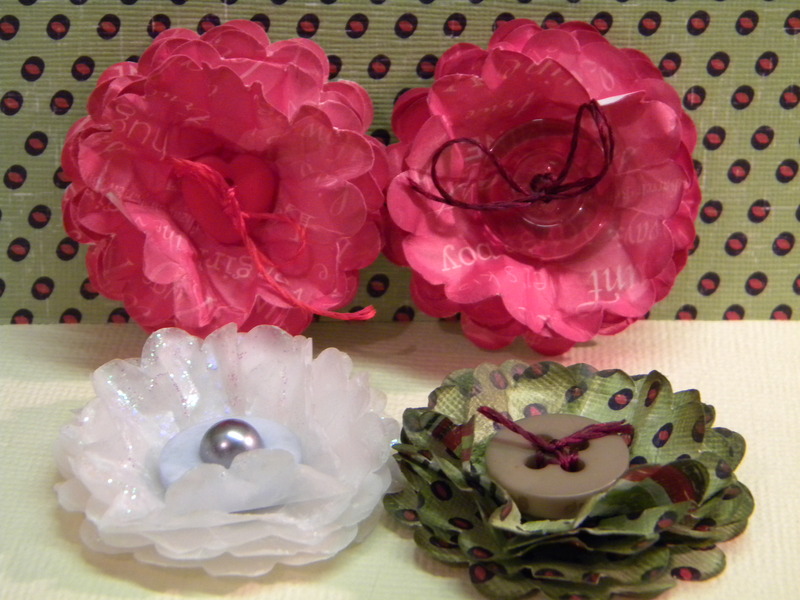 The first one is made with valentine paper that I’ve had for at least a couple of years and the edges brushed with chalk ink, a clear basic grey button added to the centre with a bit of Pearsall’s Marabou Silk. 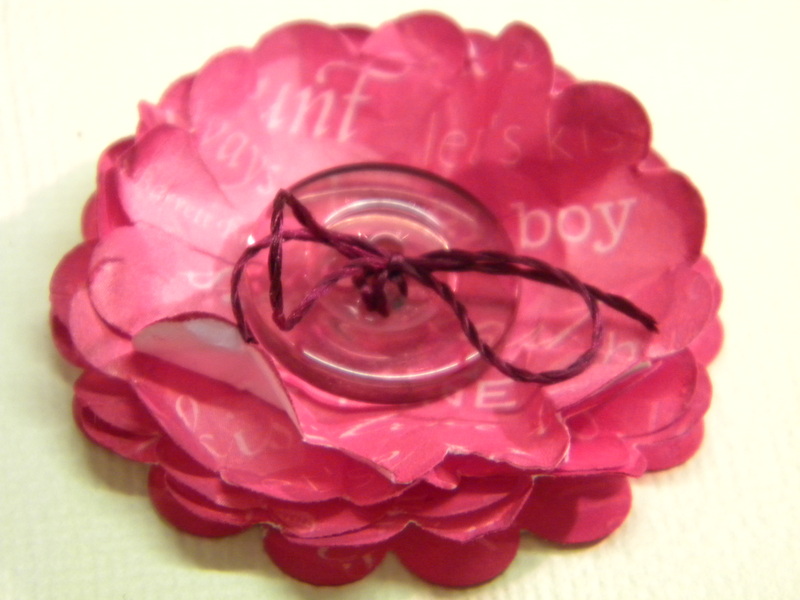 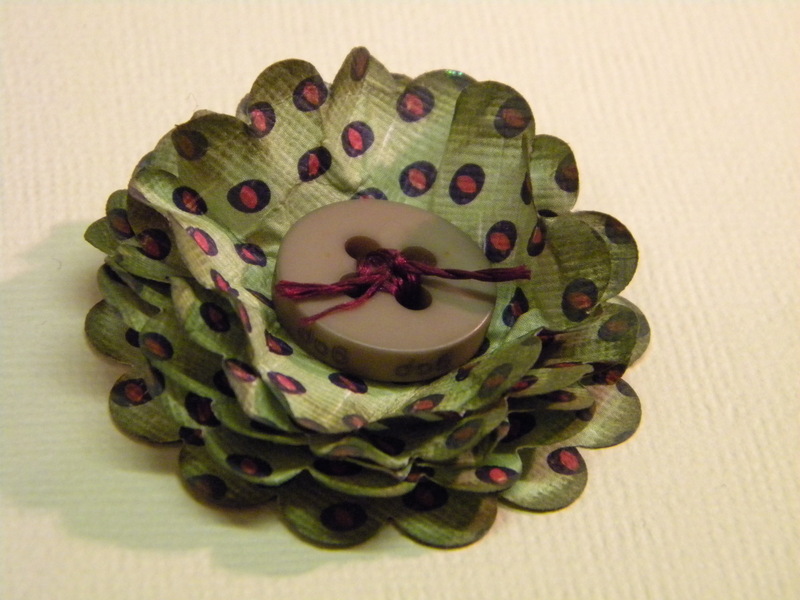 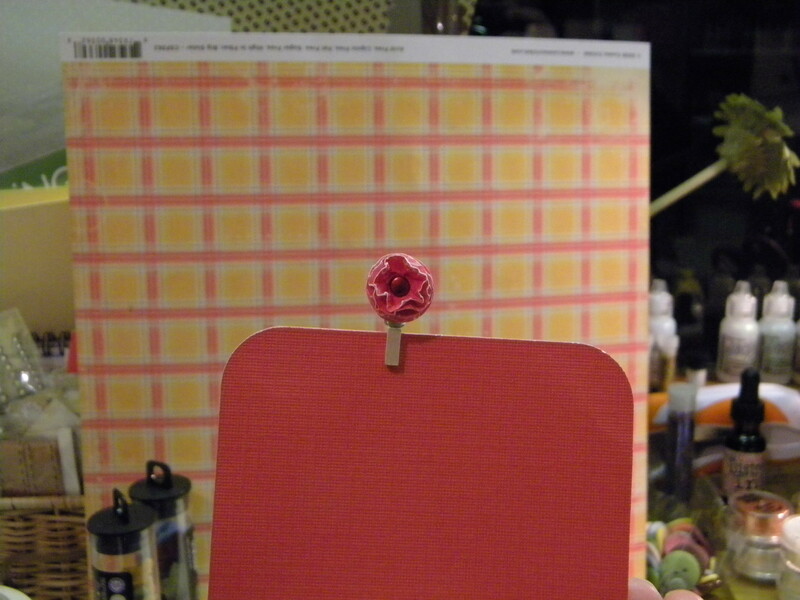 This greed and red flower was made using a Daisy Bucket Paper dotty on one side and striped on the other, a large green button fixed with a glue dot and the same floss silk as the pink flower above. 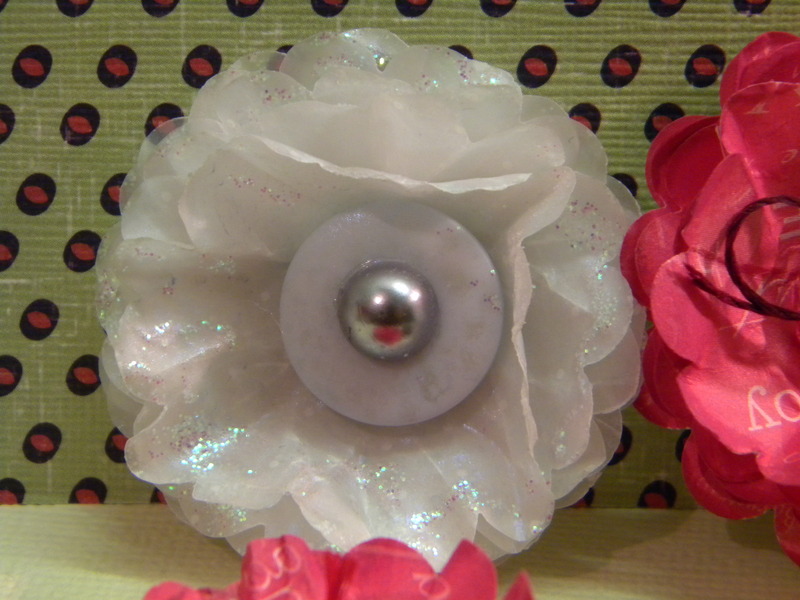 With the next flower I used white polkadot vellum, and I mixed some violet perfect pearls with some water in a mini mister and spritzed it all over, then I squeezed some stickles onto my finger and brushed it around the edges, the centre is just a blue/purple button with a silver pearl on top.